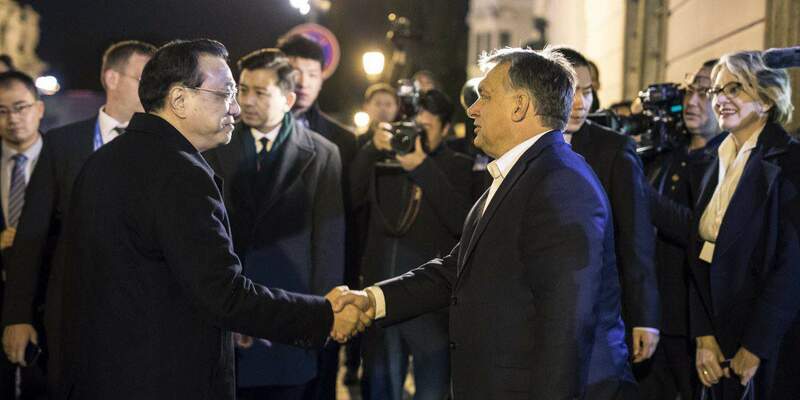 Hungary and China have strengthened their cooperation in all fields, Prime Minister Viktor Orbán said after talks with his Chinese counterpart Li Keqiang in Budapest on Tuesday. At a joint press briefing after the meeting, Orbán said that all European countries wish to partake in China’s enormous development. Hungary “has a good starting position” in this competition. With an annual export of 600 billion forints (USD 2.28bn), it is the biggest exporter to China from among the central and eastern European countries, and attracts the most Chinese investors, he said. 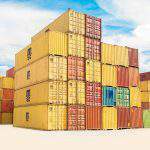 For its vigorous annual growth of 6-7 percent, forecast for the coming years, China will need large quantities of imports, he said. Hungary would export large amounts of honey and maize to China. The Hungarian Eximbank has received a 500 million dollar credit line to use in the Hungarian economy. BorsodChem, a chemical company in northeast Hungary, has got a 217 million dollar investment loan, while an electric bus plant in Komárom, in northern Hungary, has received a 20 million dollar loan, he said. “We have agreed that central and eastern Europe has an enormous development potential, and that joint investment projects can propel economic growth well above 4 percent”, Orbán said. As some of our joint projects exceed the financial capacities of both Hungary and the EU, Chinese funding is essential, he said. Li said Chinese-Hungarian cooperation presented mutually beneficial development opportunities for both countries. 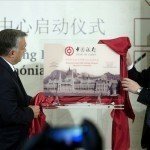 Over the past years, cooperation between China and Hungary has been moving in the right direction, he said, adding that China wanted Hungary to become an even more important destination for its investors. He said cooperation between China and central and eastern European countries was “remarkably good” and was in line with trends in globalisation. This is a form of regional cooperation that connects Europe and Asia, Li said. The Chinese premier said the 16-plus-one summit was a success. This cooperation can strengthen relations between China and the CEE countries and counterbalance the disadvantages caused by differences arising from the different pace of development, he added. China and central and eastern Europe can complement each other well in economic terms, he said. Li said there was no reason to fear from the negative effects of economic globalisation because the recent years have made it clear that even if globalisation poses obstacles, cooperation is a very strong tool for handling them. The regional cooperation between China and central and eastern Europe is based on mutual respect and serves peace and stability, he said. Chinese-Hungarian cooperation continued to improve in recent years, with an over 10 percent increase in trade last year and a 20 percent growth in Hungary’s sales to China. 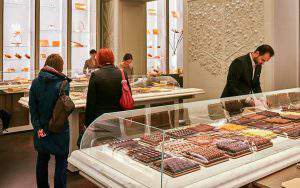 Currently, bilateral trade shows a Hungarian surplus. Hungary has excellent farm products that are highly popular among Chinese consumers, Li said.